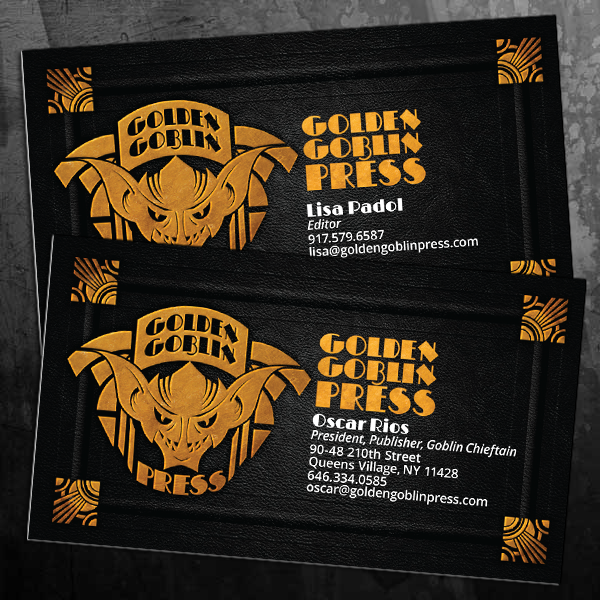 Business cards for the core staff of Golden Goblin Press, a small independent publishing company specializing in RPG supplements and fiction anthologies inspired by the cosmic horror fiction of H.P. Lovecraft and related authors. As much of the content is set in the 1920s and 1930s, the design aesthetic was intended to evoke the lingering influences of Art Nouveau as well as the burgeoning Art Deco movement of the period.